The kidney tubules are simple cuboidal epithelium. Epithelium lines body cavities and surfaces. 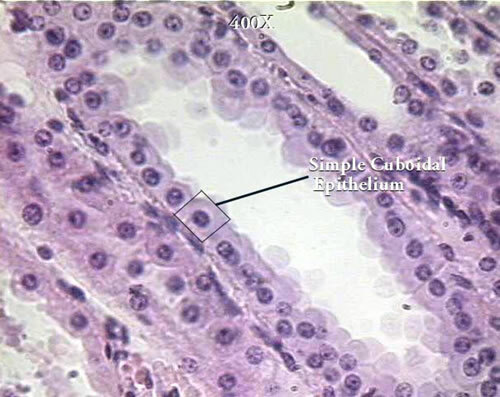 Simple cuboidal epithelium is "simple" because it is one cell thick. "Cuboidal" refers to the shape of the cells.